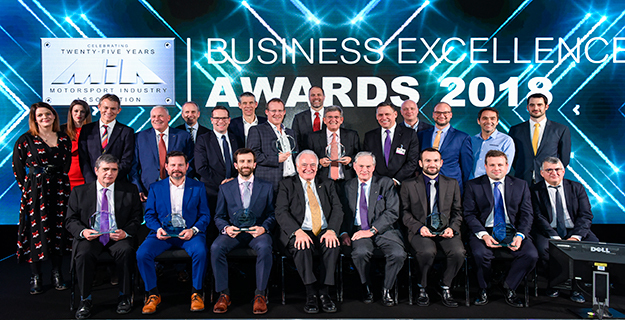 Integral Powertrain is proud to announce that its e-Drive division received the Motorsport Industry Association’s Technology and Innovation Award for 2018 at the MIA’s annual Gala and Networking Dinner held during the first day of Autosport International. The award was presented to Integral Powertrain Limited for the development of the integrated electric motors and inverters which powered the 2018 Volkswagen Motorsport I.D. R Pikes Peak record breaking car. It was presented on behalf of the company to Jason King, Business Development Director by James Sundler from award sponsors Ricardo. Competition in the category was from Bosch Motorsport, Magneti Marelli, RML Group. In a year which marked Integral Powertrain’s 20th Anniversary, the Technology and Innovation Award, joins 6 others for the Integral e-Drive record breaking e-Drive and control technology, including the Royal Automobile Club’s Dewar Trophy and Race Car of the Year presented to Volkswagen Motorsport by BBC Top Gear and Auto Bild Motorsport.